The is the perfect companion assessment to pair with DiSC® profiles. Motivators measures the seven universal dimensions of motivation that exist within each of us. 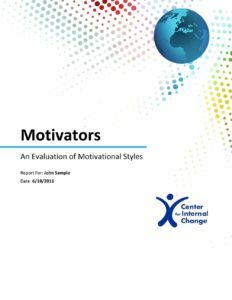 Where as DiSC assessments predicts “How” someone will behave, Motivators tells you “Why”. Being able to measure and understand “How” and “Why” someone will behave is vital to predicting the performance of job applicants, optimizing employee performance, building top performing teams, uncovering the source(s) of communicative dysfunction and developing self-aware leaders. The Online Motivators Assessment is based on the research of Dr. Eduard Spranger and Gordon Allport and their study of human value, motivation and drive. 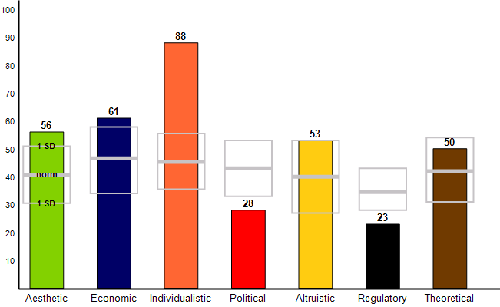 It is also known as the Motivational Style assessment tool and the Values (PIAV) Index. It helps people to better understand their unique value hierarchy or belief system pertaining to what motivated them, what they are most drawn to and where their passions lie. 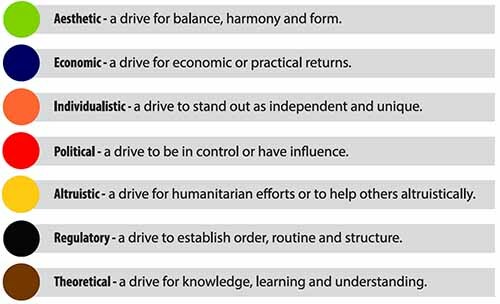 The seven dimensions of values they discovered help us better understand the reasons that drive an individual to utilize their talents in the unique way they do. Aesthetic – a drive for balance, harmony and form. Economic – a drive for economic or practical returns. Individualistic – a drive to stand out as independent and unique. Political – a drive to be in control or have influence. Altruistic – a drive for humanitarian efforts; help others altruistically. Regulatory – a drive to establish order, routine and structure. Theoretical – a drive for knowledge, learning and understanding. The Online Motivators Assessment uses a click & drag approach to ranking the various statements in the instrument, which makes taking the instrument more intuitive, natural and in the end you can actually create the order you see in your mind on the screen. The Online Motivators Assessment instrument contains the most contemporary list of statements to make your choices more relevant to your life today, which helps ensure the most accurate results possible. 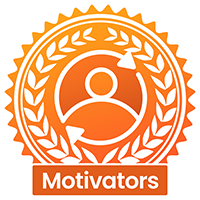 View summary page for Motivators Profile. View Motivators history and research report. Interpersonal & lntrapersonal Communication: This profile provides a helpful tool that can allow two people to understand what aspects of a situation or environment they both appreciate similarly. Understanding what draws two or more people to something can help identify more people who would be likewise inspired, and it helps create synergy and camaraderie. Understanding your own attraction to certain activities or causes can be equally as important when it comes to understanding the significance in what you do and why you do it. In other words, knowing why you will get out of bed tomorrow morning is not a minor thing. Role Building and Goal Setting and Achievement: When setting goals for yourself, or others, it helps to know why you or they would want to achieve the goal in the first place. What is it that the goal ad­dresses that is important? Setting a goal that provides monetary rewards to someone with the altruistic dimension as their highest will not likely generate the anticipated motivation or inspire superior performance. Similarly, incentiv­izing a high economic with promises of new relationships and improving society (assuming there is no obvious economic return) will not be a good way to motivate that person. Being aware of and understanding a person’s natural motivation style helps ensure that goals are resonating with them maximally. When you understand all four sides of this equation, you can make more informed decisions about who would be the best fit in which role. Understanding a person’s motivations and drivers is one significant component in filling this need. Contact us for quantity-based prices and purchase options. We can setup your own online admin account with your logo and branding. Copyright © 2002-2019 Center for Internal Change, a division of The TEAM Approach, Inc. All rights reserved. "Wiley", DiSC®, Everything DiSC®, "Everything DiSC Workplace", "Everything DiSC 363", "Everything DiSC Work of Leaders", "Inscape Publishing", "Personal Listening Profile", "Personal Profile System", "Time Mastery Profile," Five Behaviors of a Cohesive Team™, and PXT Select™ are registered trademarks of John Wiley & Sons, Inc. or its affiliated companies. All rights reserved. Center for Internal Change, and Creating Change Through Self-Empowerment, are trademarks of Internal Change. All offerings within our sites are subject to change without notice.